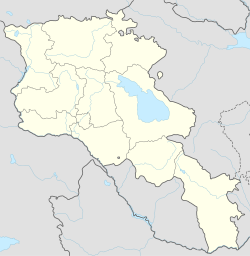 Bjni (Armenie: Բջնի; written Bjini or Bzhni an aw) is a veelage in the Kotayk Province o Armenie. It is situatit in a strath atween canyon waws an a smaw river. Throughoot Bjni's history, it haes remained ane o the main centers o education in Armenie. Some manuscripts frae Bjni datit tae the 12t tae 17t centuries hae survivit. The first recordit mention o the veelage wis bi the 5t tae 6t century chronicler an historian Ghazar Parpetsi. Kirk o Saunt Sargis atop a stane ootcrop in the middle o the veelage east o the fortress. The kirk o Surb Gevorg (S. George) built in the 13t c. sits just a couple hooses awa frae Bjni Kirk. Remains o Bjni Fortress wi a medieval structur being rebuilt upon the plateau. This page wis last eeditit on 10 Mairch 2018, at 23:58.